Kanger TOPBOX Mini Starter kit Review: An Improvement over the Subox Mini? The Kanger Topbox Mini Kit contains items that are brand new and work better than ever. This includes the new top filling Toptank and the outstanding coils for the Toptank. The advanced Kanger Kbox mini TC 75W, a remarkable box mode comes in the kit too. The Kanger Topbox Mini kit really gives the consumer bang for his buck. First, they made the coils from stainless steel. Furthermore, the Clapton give amazing vapor that has great texture and is full of flavor. The third coil, the RBA coil, is one of the easiest to use and build upon. The Kanger TopBox Mini Starter Kit is extremely attractive and eye-catching with its color coordinated items that match each other well. 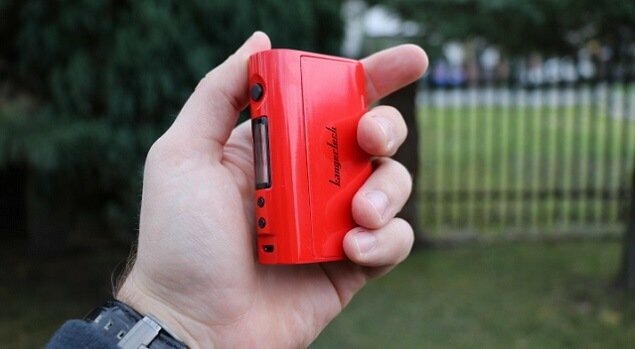 The Kbox Mini Mod has a black body with bright red plastic buttons on it. They branded the company’s name on the surface on one end. The other side has the 510 connectors with a spring loaded center pin. The device is simple in appearance. First, it has a huge bright red button for firing, with the OLED screen directly underneath it. Then, further below it, are the other two red buttons that function as settings adjustments and a micro USB port. A magnetic door with the brand name on it covers the battery. Lastly, there are air holes for ventilation on both sides. The Kanger Topbox Mini is an all-in-one kit: the Kbox Mini mod, the Toptank sub-ohm tank, a couple of pre-made coil heads, and an RBA base are included. The Topbox can now go up to 75 watts and has temperature controls. Also the Toptank now has a convenient top-fill design compared to the bottom fill that the previous Subtank had. Setting the wattage and controlling it precisely to the needed way is extremely nifty. First, select between the range of 7 to 75 watts and have unlimited vaping options. This gets by pressing the big red button. That’s the main power button to activate the wattage mode. Then, the additional buttons underneath the screen are used to increase or decrease the power. The screen shows the current settings along with other details. The maximum temperature is 600 degrees Fahrenheit. The Kanger TOPBOX 75W TC is compatible with Nickel, Titanium, Kanthal and NiCr. However, only the first two can work with temperature control. Therefore, this mode is perfect for experiments with some really higher-end juices. This kit comes with the Kanger TOPTANK Mini Sub ohm atomizer tank. It has the capacity to hold up to 4-ml of liquid. Fillable on the top the tank is not problematic and does not create any mess while refilling the content. The TopTank Atomizer tank comes with a stainless steel 0.5 ohms cotton coils, a 0.5 ohms Clapton coil. It also includes a 0.15 ohm Ni200, an RBA Mini Plus along with some accessories. All these items help the user create a unique coil with the desirable resistance and material of choice. This feature, in particular, is what makes this kit so versatile. Furthermore, it will provide an endless possibilities for vaping. The Topbox feels solid; it does not feel hollow, and not plasticky at all. However, even though the Topbox has a solid construction, the one complaint that I have with it is the battery door cover. Just like most other single 18650 devices, the battery cover of the Topbox is held in place by a strong magnet, but the one on the Topbox is not that secure. The cover would constantly slide open quite a bit, but it would not fall off completely. Although the cover would not come off, it can be quite annoying to have always to push the cover back into place every five minutes. The Topbox can go to 75 watts. With the Topbox set at around 60 watts and using the 0.15 coil head, it us possible to puff out huge, dense vapor clouds. The Innokin iTaste SmartBox has a maximum power output of 45W, which is much less than the 75W Topbox Mini. The iTaste is also powered by a single, removable 18650 device and can vape both above-ohm and sub-ohm coils with a resistance range of 0.35ohms and 3.5ohms, which is more versatile than the sub-ohm Topbox. The iTaste comes with a 2ml tank and is much cheaper than the pricier Topbox. However, concerning the bigger tank capacity such difference seems warranted. 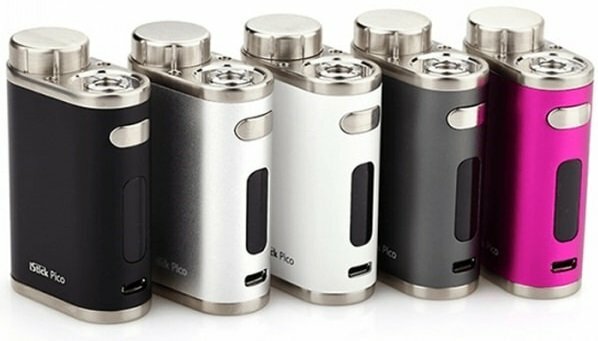 The Eleaf iStick Pico is a single-18650 device with a maximum power output of 75W, which is similar to the Topbox Mini’s maximum of 75W. The Eleaf iStick Pico also has a top-loaded battery. 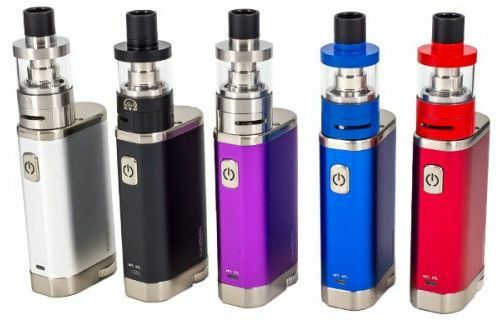 Various vaping outputs, from temperature control and variable wattage mode to bypass mode, while the TopBox features only temperature control and variable wattage. The Kanger Topbox comes with a tank, which explains its higher price point than the iStick Pico that comes as a stand-alone device making the preference clear. The Kanger Topbox Mini Kit is a great kit. It has excellent coils and features, it will definitely not get boring for quite some time. The exterior is pleasing to look at and the construction is durable and sturdy. Thanks to the temperature control mode and wattage mode the vapor comes customized up to users desires. However, the only drawbacks that are worth mentioning are that not all coils work with the temperature control mode. Of course, the fact that they didn’t include a battery in the kit.